Over 17 years in the dating game, Match.com has been able to rack up a remarkable number of members, over 21 million worldwide, and an impressive 3 million active members in the UK. This alone raises your chances of finding a potential partner at the next meetup. 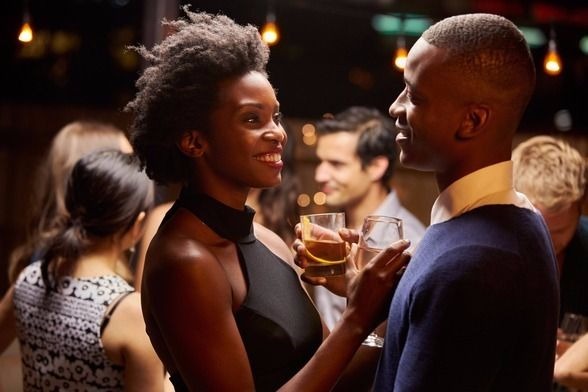 Match.com events are a great excuse to get out the house and enjoy life—featuring some original night outs, including cooking classes, endless happy hours, and some incredible group holidays. What better excuse to start a holiday romance and get some sun in some seriously exotic locations? The dating game is overloaded with virtual apps. Match.com’s real-life meetups are a refreshing way to help break the swiping rut. Instead of wasting the entire night trying to figure out who’s single, the great part of these events is being able to chat with people without the awkward ‘do you live with flatmates’ question – you already know everyone is single! Match.com has been doing this for years and knows what its members want. You’ll never have to attend another speed-dating event if that’s not your style. The choice on offer is endless and you’ll always find events in your local area. The world of online dating is exciting but it can also feel like a labyrinth of swiping, messaging and virtual intrigue. There are many services that not only make online dating simple, but dare we say it—enjoyable! The UK’s largest, and most-loved dating service, Match.com has rolled out a whole host of real-life events that help break the virtual ice where you’ll get a chance to take your dating life offline and meet potential matches face-to-face. What’s unique about Match.com’s real-life meetings is that invitees are specifically chosen using algorithms based on age, gender, location and your personal interests. This helps save precious time and will raise the chances of meeting someone you actually have things in common with—and far more than a visit to your local pub on a Friday night! Although online dating is a successful method to meet singles, there’s no comparison to the potential fireworks that can occur when two people meet in person. Sometimes there’s no replacement for real chemistry, and these events can save that initial back and forth online before you decide whether to meet each other in real life—after all, internet dating doesn’t work unless you eventually get two people in a room together. Match.com offer 2 types of events; Match.com Nights at a location close to you, specifically chosen by Match.com where you’ll meet other singles and friends in a relaxed and friendly bar after work or on the weekend. The second is Match.com Social a more hands-on event, which brings members together based on common interests. The types of events range from photography classes, cookery classes, and salsa dancing—the list is truly endless. The events are informal and low-key, which takes the pressure off and allows members to simply enjoy themselves. These events are customized so you don’t find yourself mingling with members of a completely inappropriate gender, age, or locations. Some great perks that come along with Match.com’s events are that although you need to be a member to sign up, you can bring along 3 of your single friends that don’t need to be members. This is a great way to feel more confident when you’re entering the unknown, and we promise they’ll thank you for it! Match.com is so experienced at the dating game that in case you didn’t whip up the courage to ask for anyone’s number at the event, Match.com sends you a follow-up email the very next day with a link to the profile of every attendee at the event in case you had your eye on someone special. Match.com holds events right across the UK, so you won’t need to travel too far to find other singles. This is also a great way to meet other members that live close to you and avoid the dreaded long-distance relationship. Other dating sites that hold real-life events can often feel old-fashioned and boring, however, Match.com has worked hard to research the right type of venues people really want to meet at (so no more church hall, speed dating for you). Some examples include wine tasting, professional chef tastings, dance nights and rock climbing. 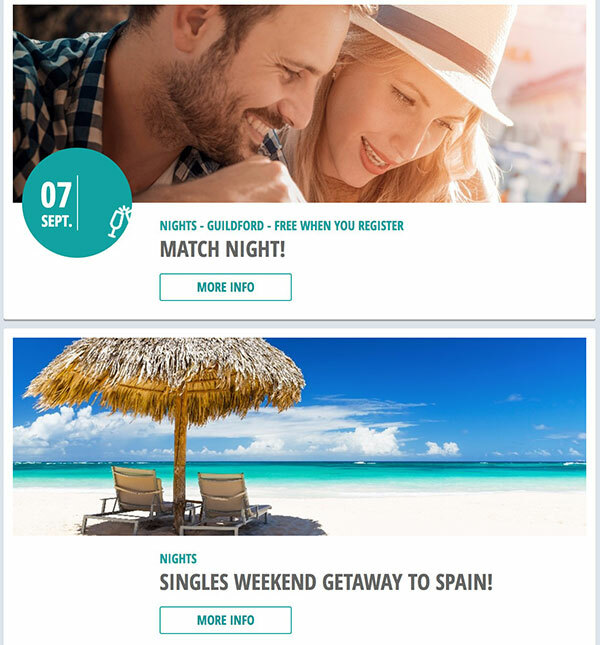 What’s more, Match.com also organises singles weekends and holidays to sunny and exotic locations like Costa del Sol and Crete – a pretty great excuse to go on a sunny holiday this year. There are numerous online dating sites that promise meetups but none that rival Match.com’s. For starters, the price of Match.com membership is ‎£12.95 per month, compared with a much pricier Zoosk at ‎£22.95 monthly, or Elite Singles at a whopping ‎£89.95 per month! The signup process is super quick and easy, compared to eharmony whose registration process can take up to an hour or more. Match.com even guarantees that if you don’t find a special someone in the first 6 months of membership, you get the next 6 months free. Furthermore, since Match.com sincerely believes there is a ‘lid for every pot,’ it doesn’t have a crazy strict vetting process like some of the other top dating sites . In addition, most of Match.com’s events are completely free to enter and if you arrive within the first 30 minutes, you’ll receive a complimentary free drink. Potential matches + a free drink? All in all, that’s a pretty good deal.